Teaching literacy is not always explicitly done in science. However, if students are to understand and take part in science, they need to make sense of a variety of words, both scientific and non-scientific. In this way, good literacy is as important to a student’s science education as an understanding of evolution or atomic structure. If students can’t write or talk about science, they probably don’t understand it. Don’t be fooled. Our students are very good at convincing us that they do understand! Take this passage below. Students can read it, answer the questions and understand nothing. 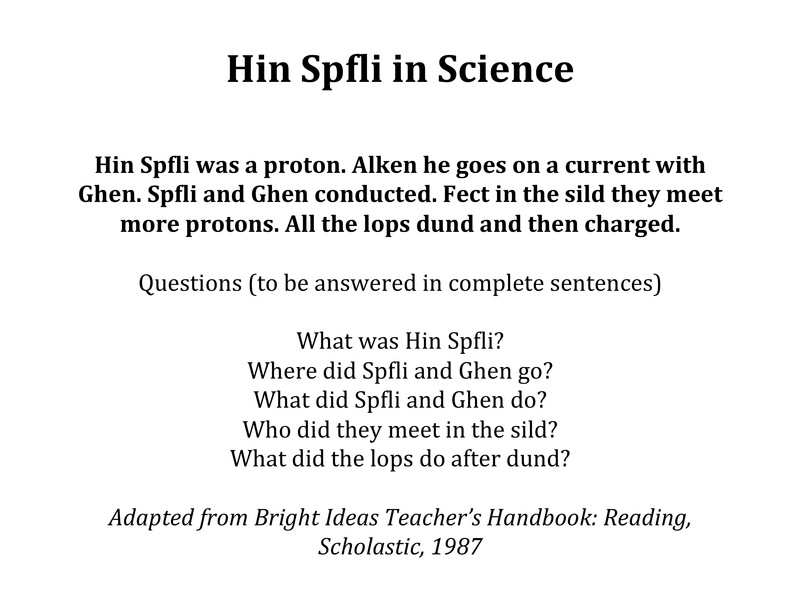 It is worth pointing out that literacy in science is different to ‘scientific literacy’, which refers to understanding the processes of science. Please follow the links below to access resources that support the development of literacy in science.